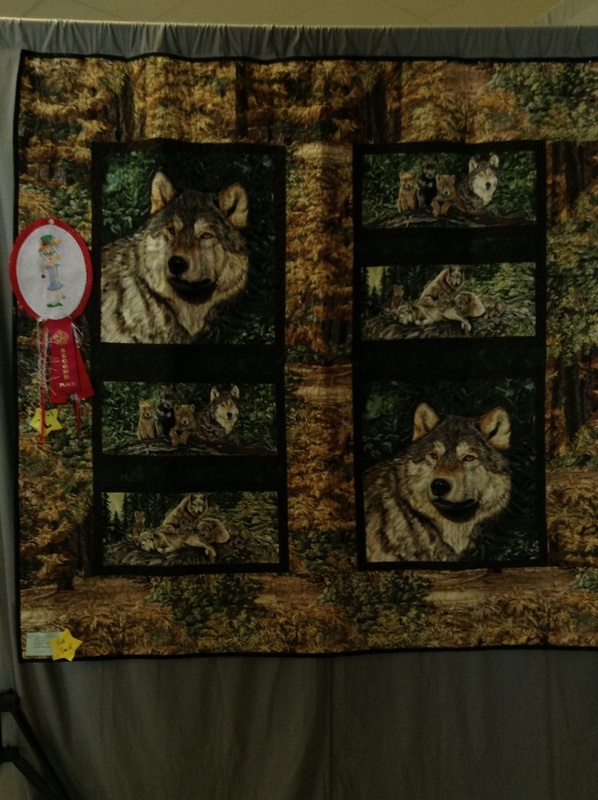 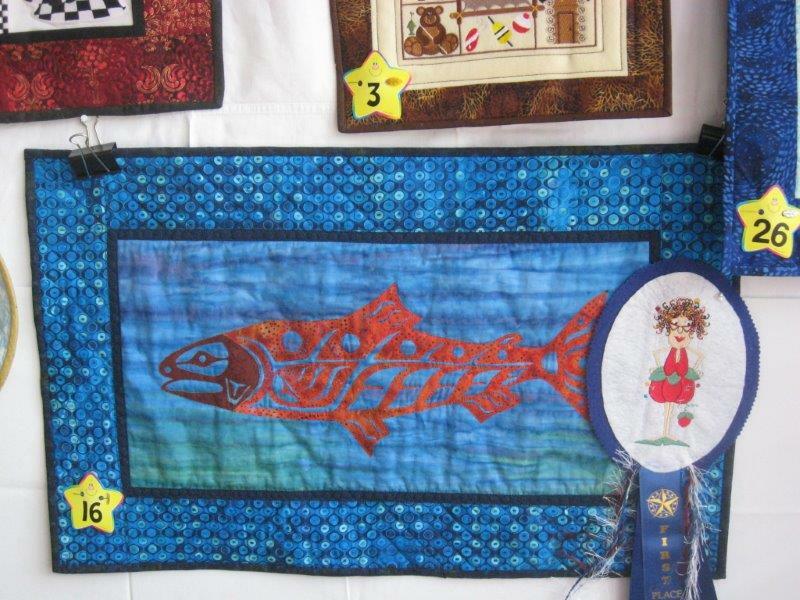 The 2013 CMQG Quilt Show & Boutique at the Bear Paw Festival in Eagle River was a huge success thanks to the hard work of our Bear Paw organizer and volunteers! 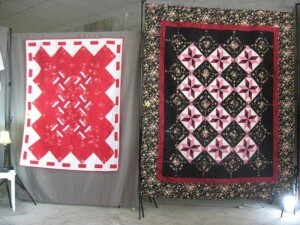 The guild raised $1800 with Small Quilt Auction and Boutique sales! 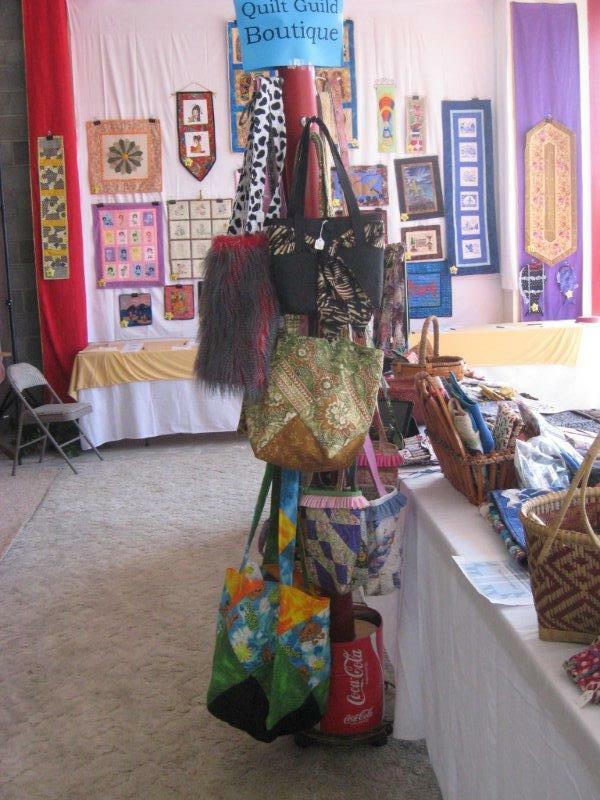 All small quilts and items sold in the boutique were made and donated by CMQG members. 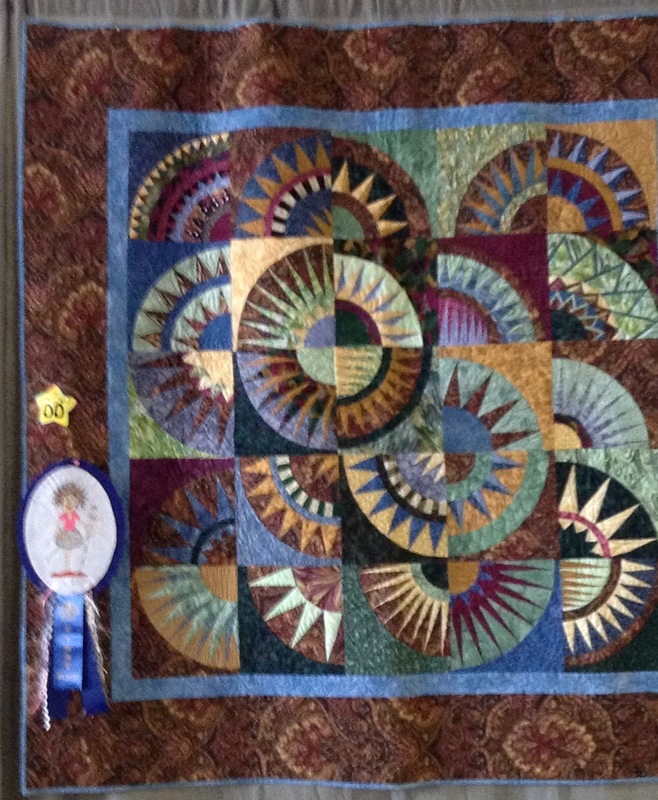 Thank You members and supporters! 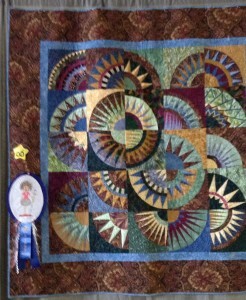 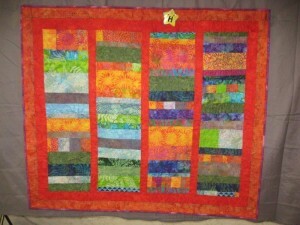 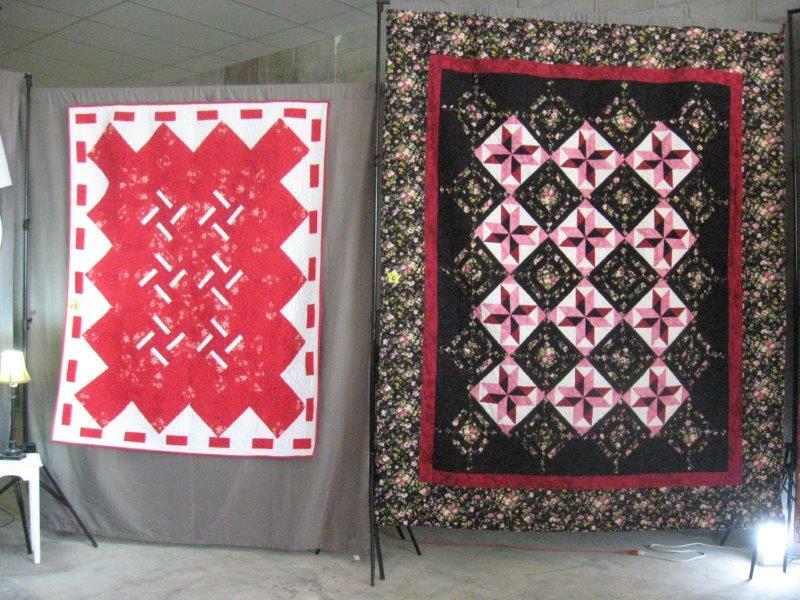 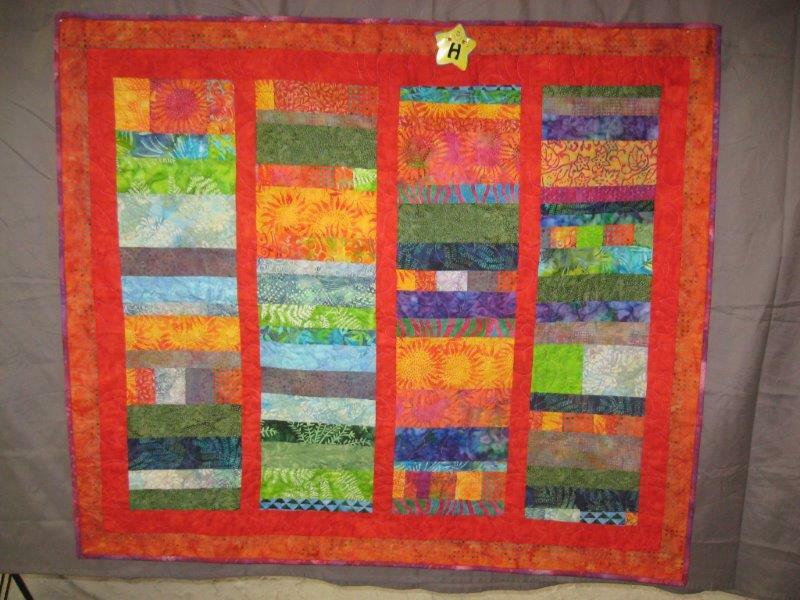 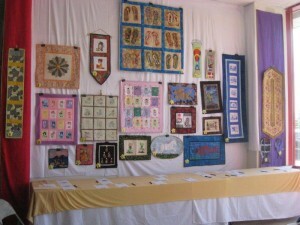 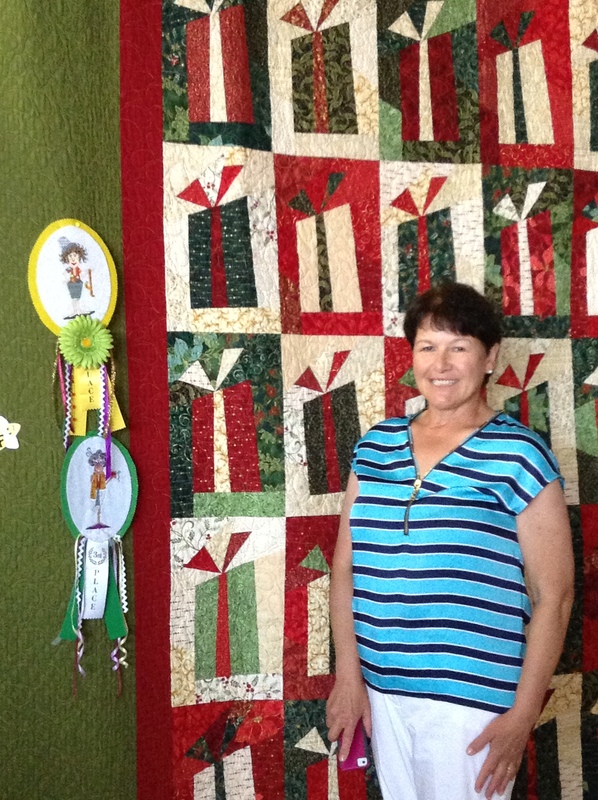 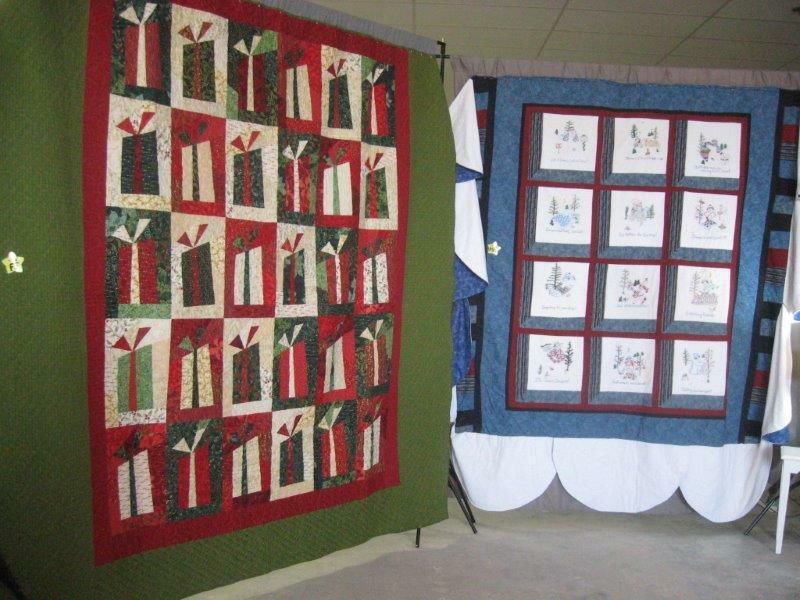 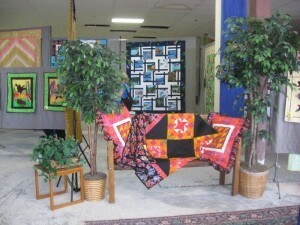 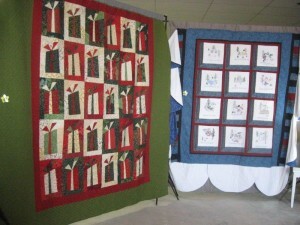 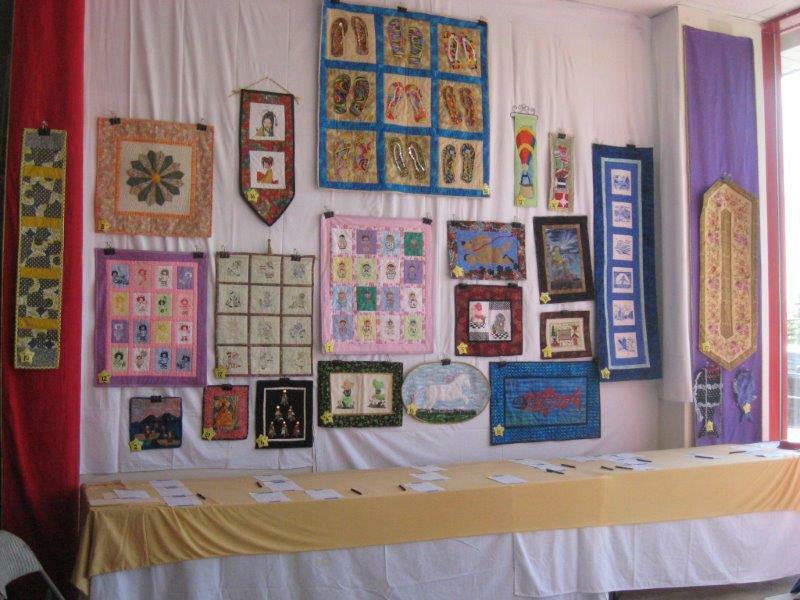 Our guild members proudly displayed 25 beautiful quilts of all sizes, colors and themes. 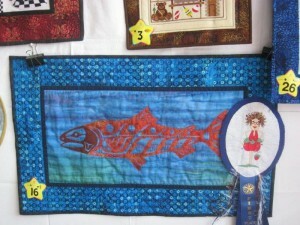 There were two judging categories: Peoples’ Choice and Members’ Choice. 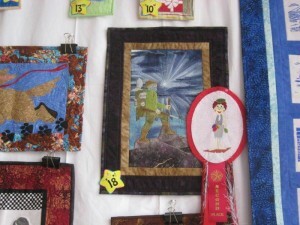 Ribbons were awarded for first, second, and third place in both categories. 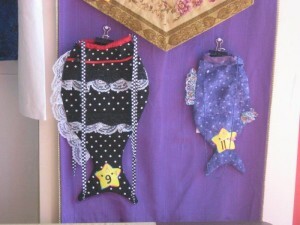 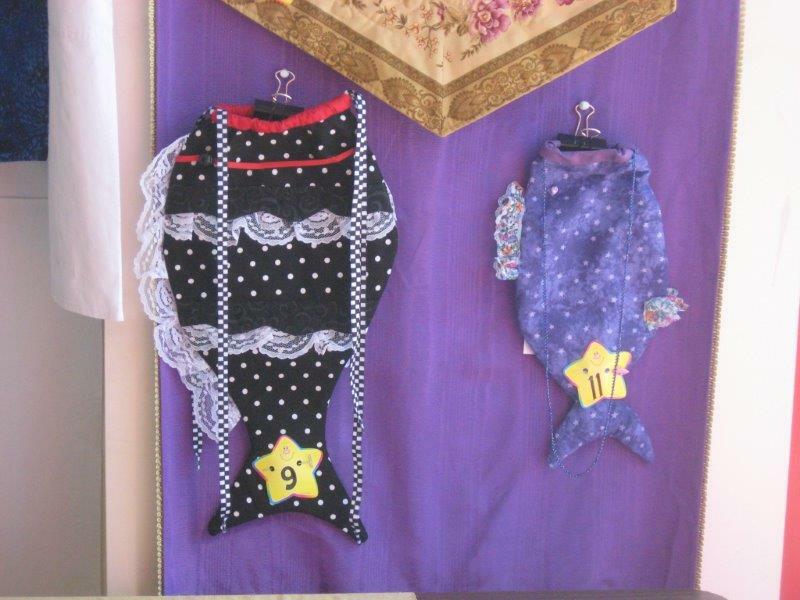 Even the ribbons were special – they were machine embroidered and hand-embellished by two guild members! 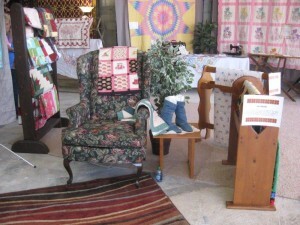 There was also a lovely display of several vintage quilts and antiques owned by members.